Today, you’ll bring joy to the people around you. First, you are doing something really kind for the grandparents! They will spend the day with their grandchildren, and it will be a pleasure to treat them. 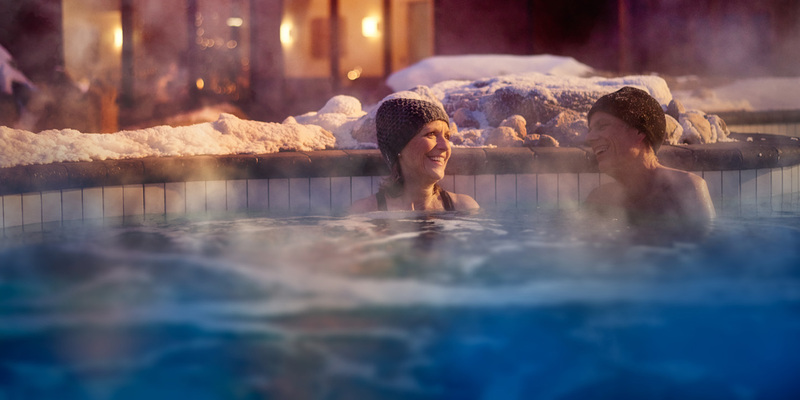 Then, you and your partner will take a break from the routine to catch up on lost time and rediscover yourselves… at Thermëa. You’re getting rid of clichés and making changes. You need a day off, and after all, if you don’t take care of yourselves as a couple, who will? You begin your day with a delicious latte at Restö. A quiet, soft way to begin to realize that, yes, you are taking a break from life. Make yourself comfortable, like you would at home. You can enter your bubble for non-stop relaxation, just the two of you, alone in the world for the rest of the day; that’s the dream! This place is ideal for soft and tender exchanges. Before you know it, you’re making travel plans, family plans, and couple plans. 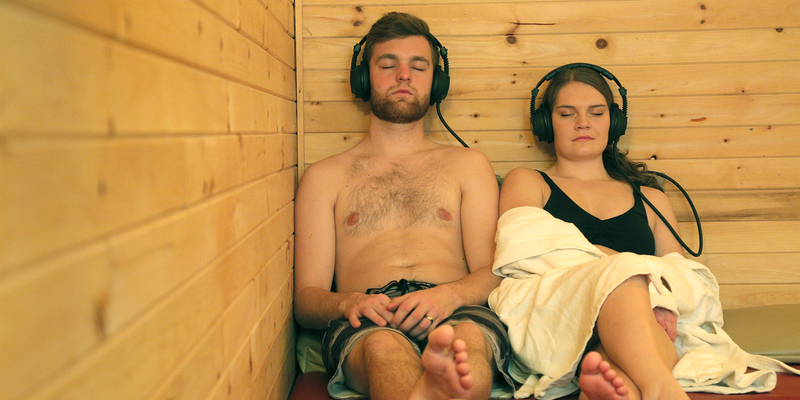 In the Finlandia sauna, you will get the chance to experience an Aufguss ritual during the day. The essential oils and music carefully chosen by the Aufguss masters create a unique ritual performance in their own image! You are blown away. You don’t want the day to end. Before your relaxation retreat, you made an appointment for a duo massage. It was already planned, before your relaxation getaway began. waiting for the massage therapists, you sit and appreciate the moment, the scents, the music, the quiet life. The massage for two begins. You have chosen your essential oil, it smells good. You realize how tensed you were. This is the duo massage experience. Every couple should try this unique experience at least once. Also a treat you should allow yourself regularly! 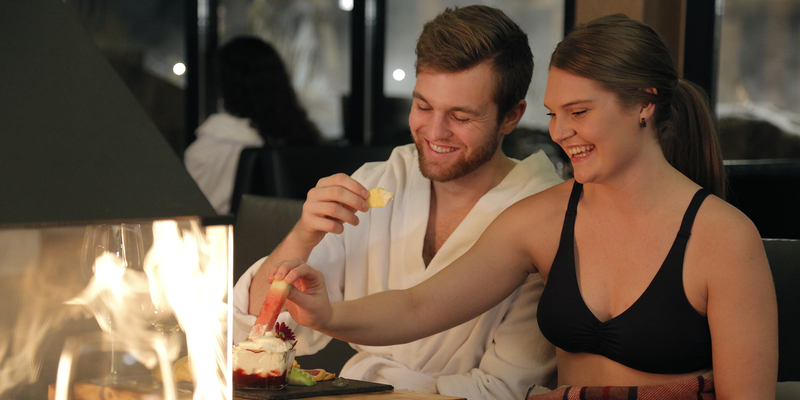 To top off your spa day for two, you treat yourself to a gourmet meal in your bathrobes at the Rësto. You choose the 4-course table d’hôte meal with wine pairings. The works! You take in the modern and relaxed atmosphere and enjoy the precious moments for you both. In the middle of the week, it gets even better. This experience has given you such a high level of well-being that you want to ask grandma and grandpa to take care of the kids again as soon as you return home to repeat the experience. And why not thank them with a gift card so that they, too, can discover all the benefits of the spa for themselves? Good night, lovers.